This is generally about the time when the winter season really kicks in. December has always been a fairly mild month here in Iowa, come January and February we will see a lot more snow and colder temperatures - thus, sweater season! In my opinion, you can't have too many sweaters. When it's -10 with a windchill you are going to wish you want a thick wool sweater! By now, most stores have their sweaters on sale so I tend to wait until the new year to purchase most of them. 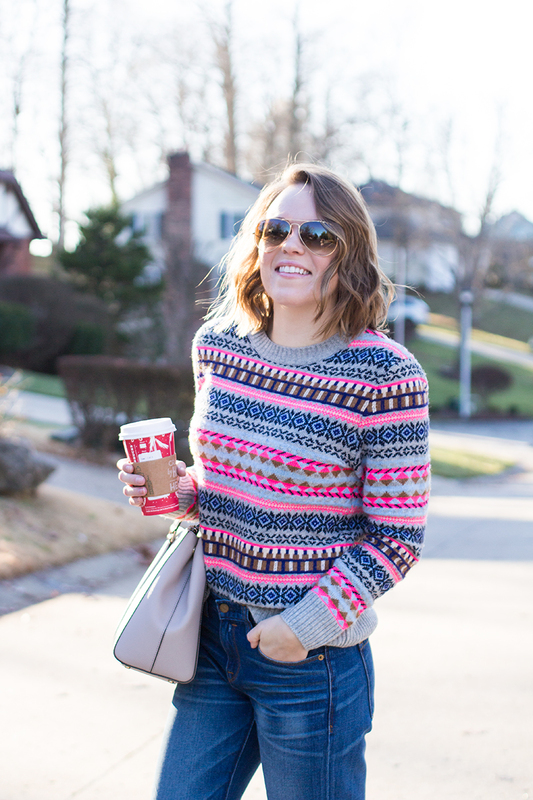 This fair isle sweater is one of my favorites. I sized up one because I wanted that "oversized" look. 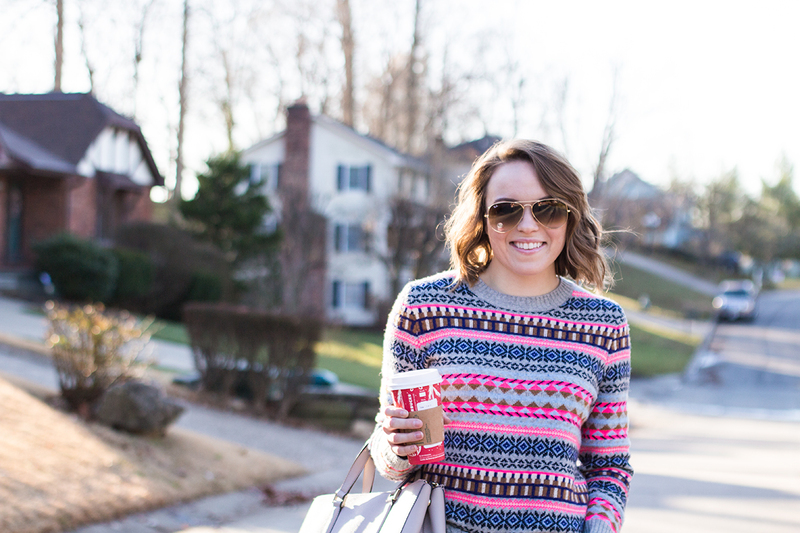 I have rounded up more sweaters on sale, see below! A note about these jeans, they are my new closet favorite! Since they are the boyfriend fit, make sure to size down one to two sizes. They wash is probably my favorite part and they are so comfortable! I find that I always stick to skinny jeans so the boyfriend fit is a good alternative. This is the "San Jose" pair and they are marked down to $57! I wear high heels everyday to work so on the weekends, heels are the last thing I wear. If you are looking for a good 'roaming around/errand' shoe, these Cole Haan Oxfords are AH-MAZ-ING. My mother has always taught me to invest in quality shoes. It makes more sense to buy only a few pairs of good quality shoes rather than buy 20+ pairs that are cheap and not supportive. While the price is a little daunting, they have a handful on clearance with an additional 30% off (these are in my shopping cart as we speak).